NFL Domestic Violence Issues Spark Local TV Initiatives | Broadcast Public Service: Local Stations. Big Impact. Broadcasters ramping up domestic violence initiatives through special news reports, telethons and tributes to victims following recent NFL incidents include E. W. Scripps’ WEWS Cleveland, WFTS Tampa and Raycom’s Honolulu stations, CBS affiliate KGMB and NBC affiliate KHNL, according to Broadcasting & Cable. In addition, Capitol Broadcasting launched the "eNOughNC" campaign, with WRAL-TV and WRAZ-TV Raleigh, NC producing two PSAs that debuted during an NFL game featuring Ray Rice’s former team, the Ravens, and ran on WILM Wilmington and Capitol radio stations. 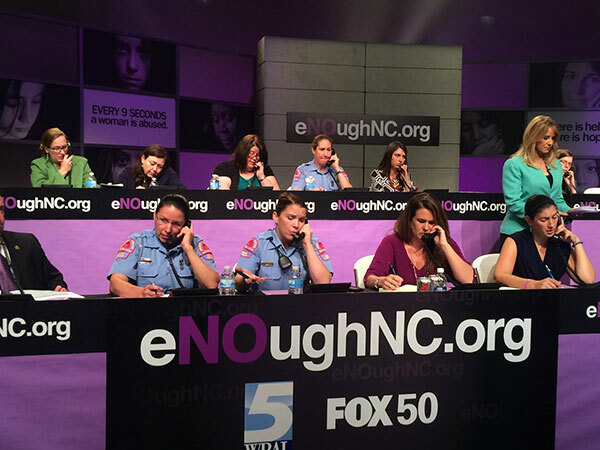 "eNOughNC" provides education on how to break the domestic violence cycle.